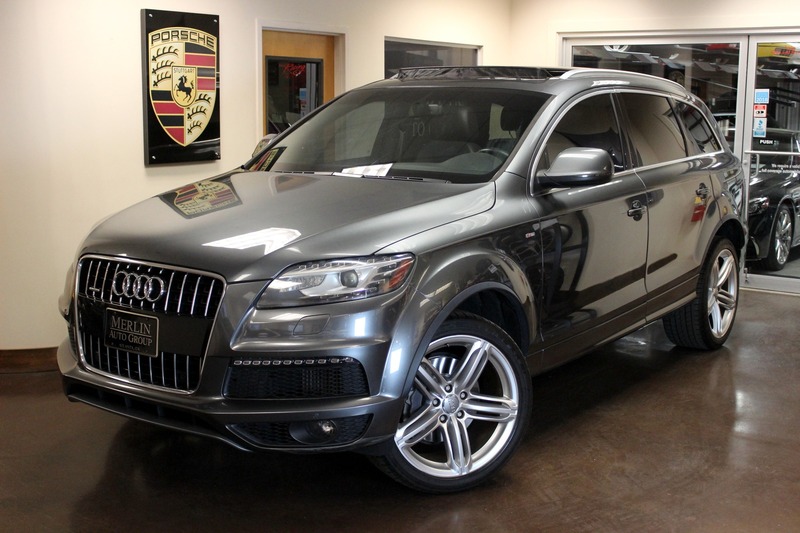 Here we have a 2011 used Audi Q7 for sale; 3.0L V6 TDI (diesel) engine with only 51k miles; finished in Daytona Gray Pearl over Black leather with an original MSRP of $66,575. 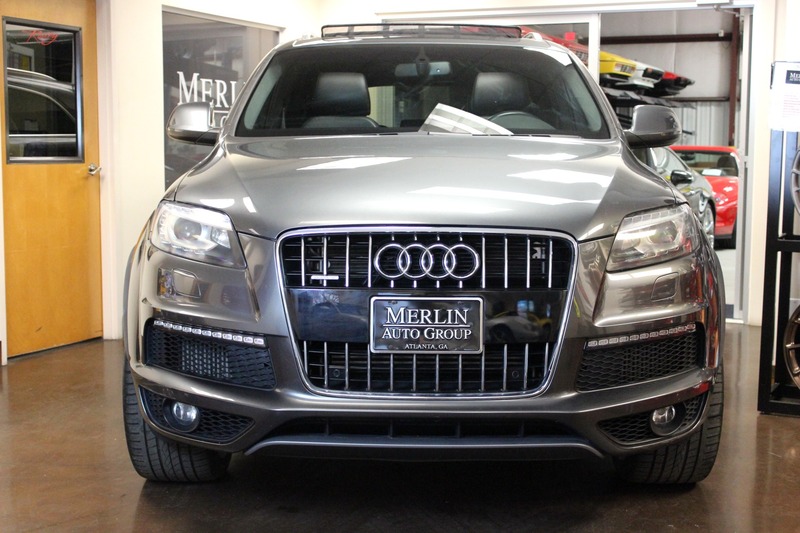 Only 2 previous owners and spent all its life in Florida until we purchased it. 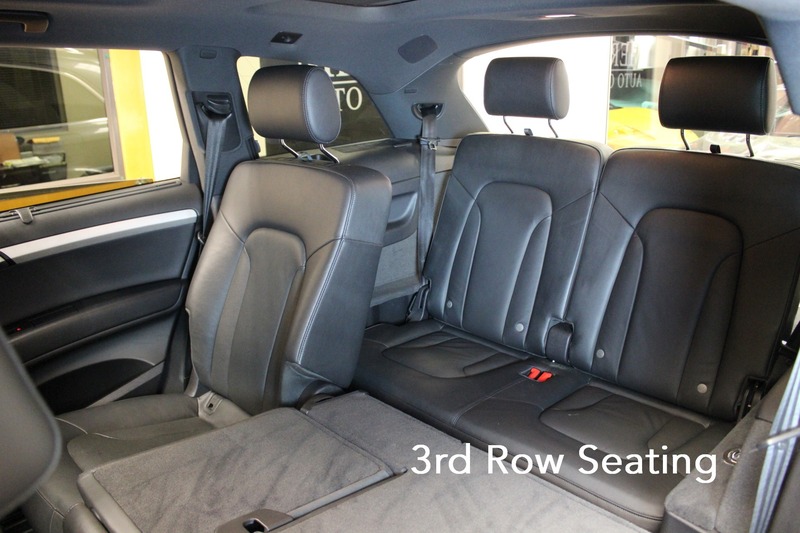 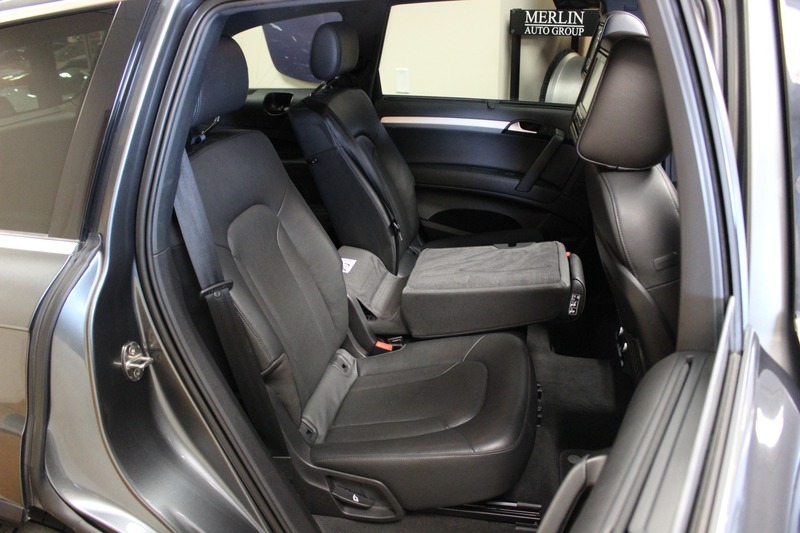 The Premium comes standard with 18-inch alloy wheels, rear parking sensors, roof rails, a power liftgate (includes programmable opening angle), automatic wipers, dual-zone automatic climate control, heated eight-way power front seats (includes adjustable lumbar) and leather upholstery. 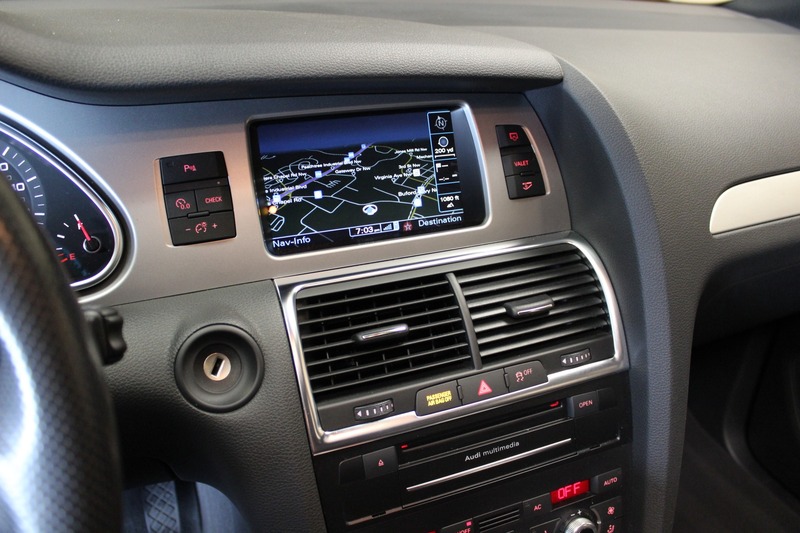 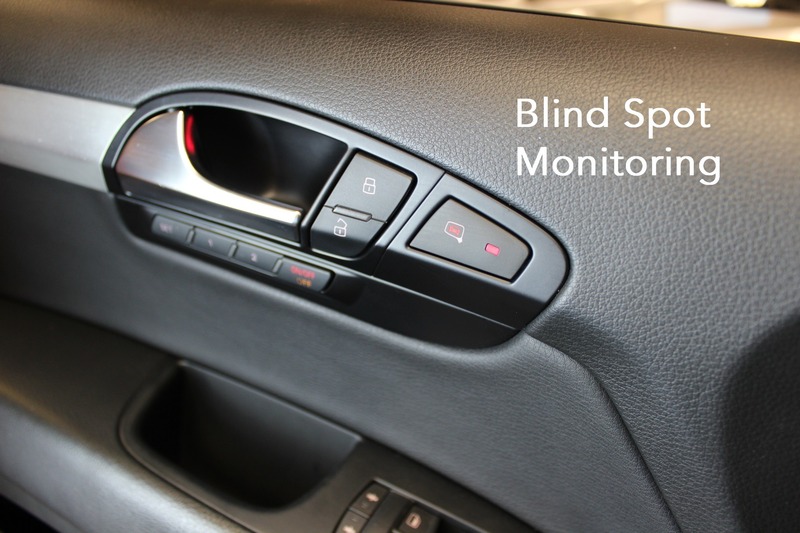 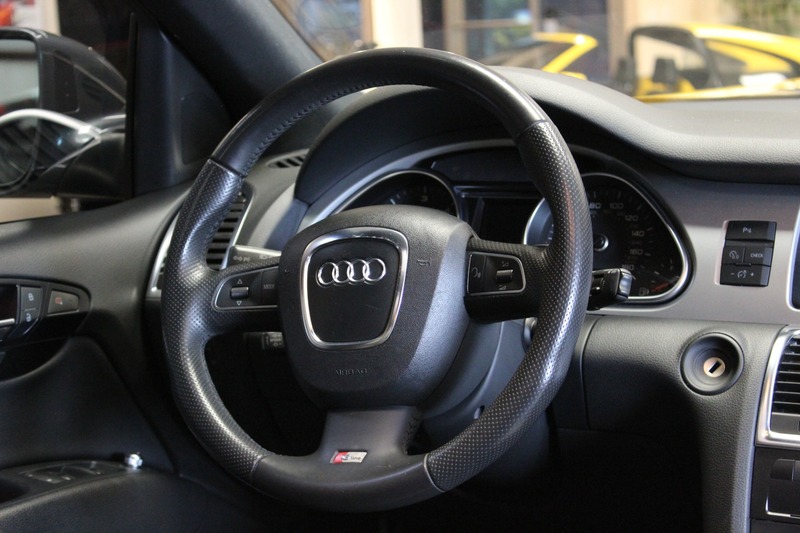 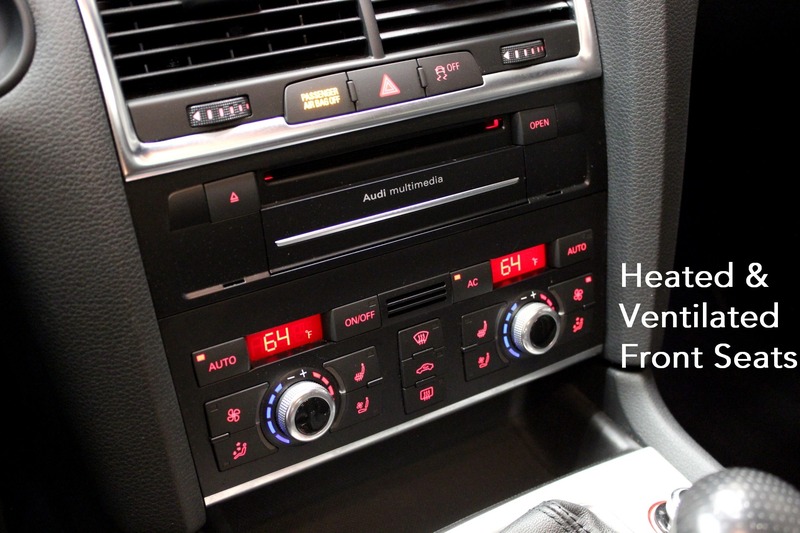 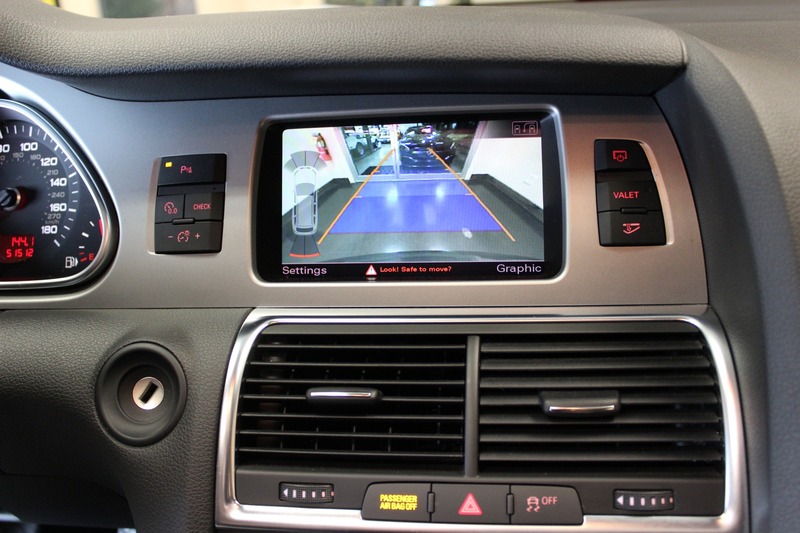 Other standard features include a tilt-and-telescoping steering wheel, a reclining 40/20/40-split second-row seat, an auto-dimming rearview mirror, Bluetooth, Audi's Multi Media Interface (MMI) and an 11-speaker audio system with console-mounted six-CD changer, in-dash single-CD player, satellite radio and an iPod interface. 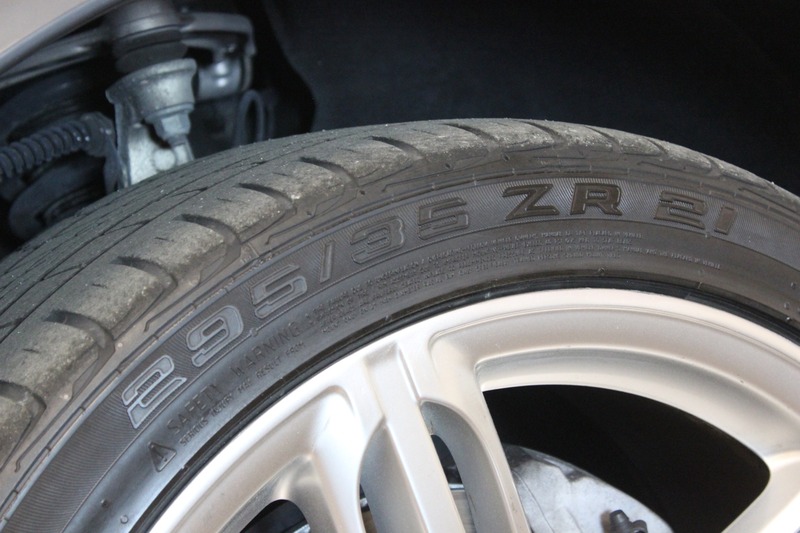 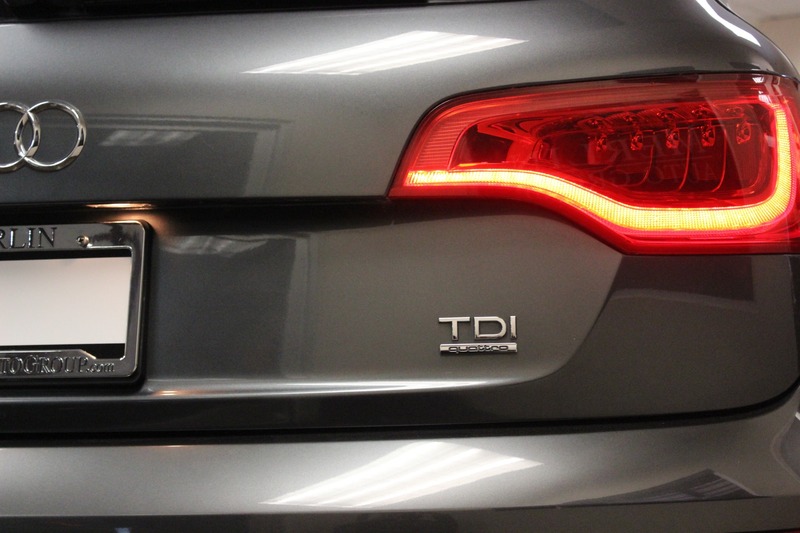 The TDI Premium gets 19-inch wheels and additional exterior chrome trim. 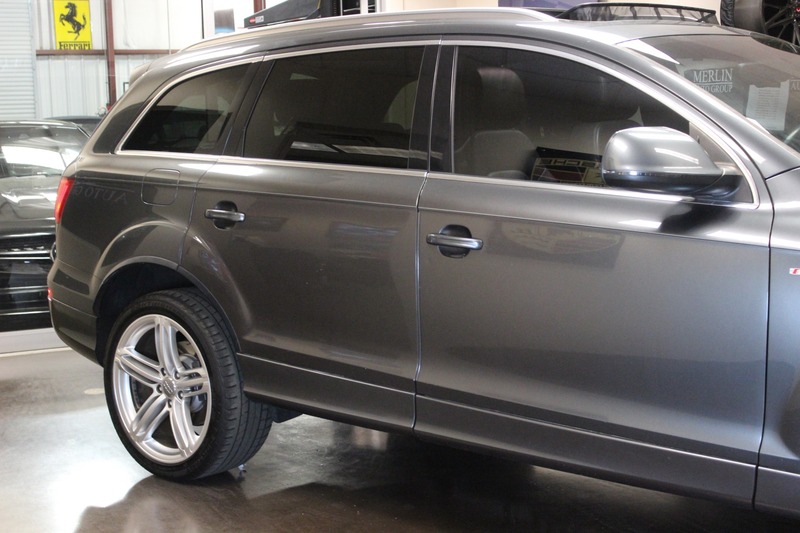 The Q7 Premium Plus gains xenon headlights, LED running lights, a panoramic sunroof (optional on Premium), a rearview camera, auto-dimming and power-folding mirrors, driver memory functions, a navigation system (optional on Premium) and a Bose surround-sound system with HD radio and DVD audio capability. 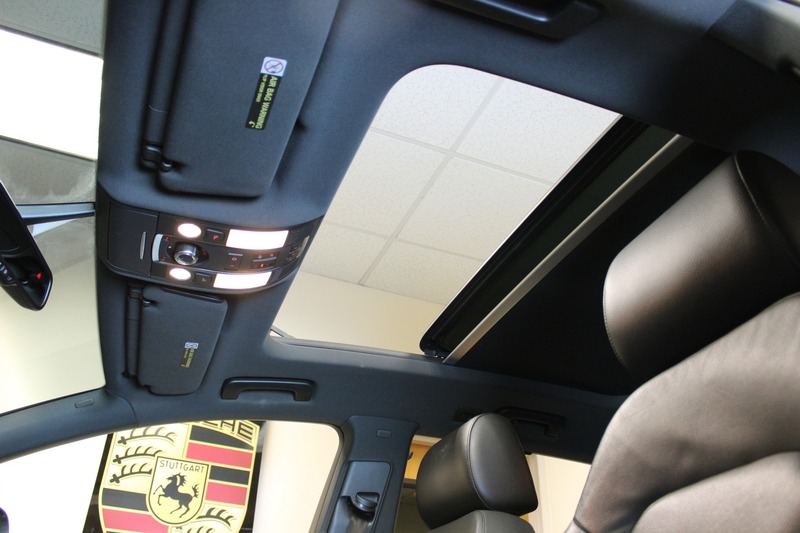 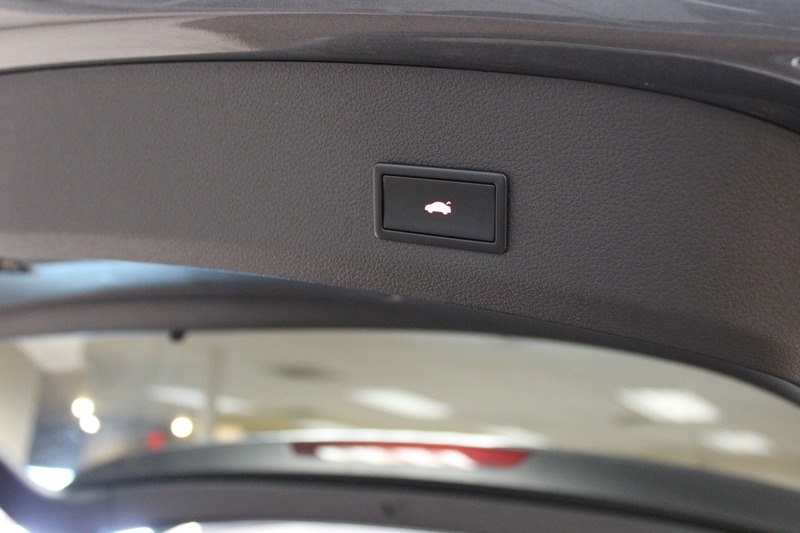 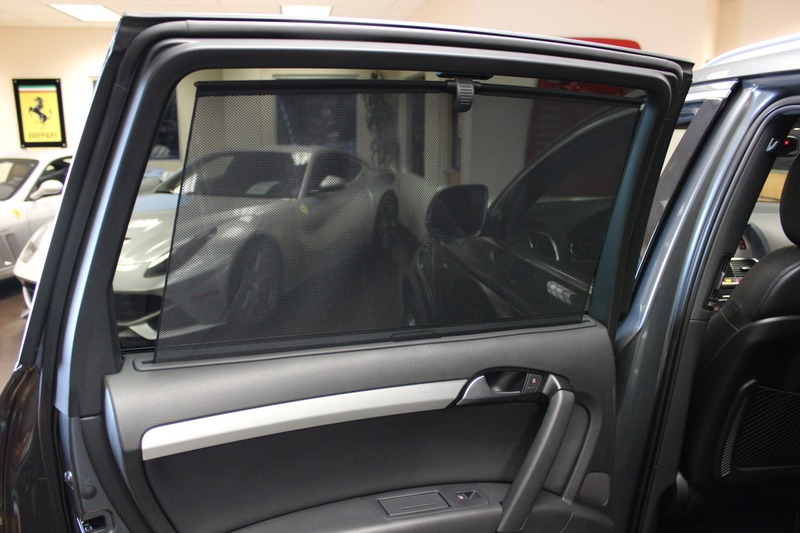 The Warm Weather package adds a deep-tint panoramic sunroof, four-zone automatic climate control and manual sunshades for the rear doors and tailgate. 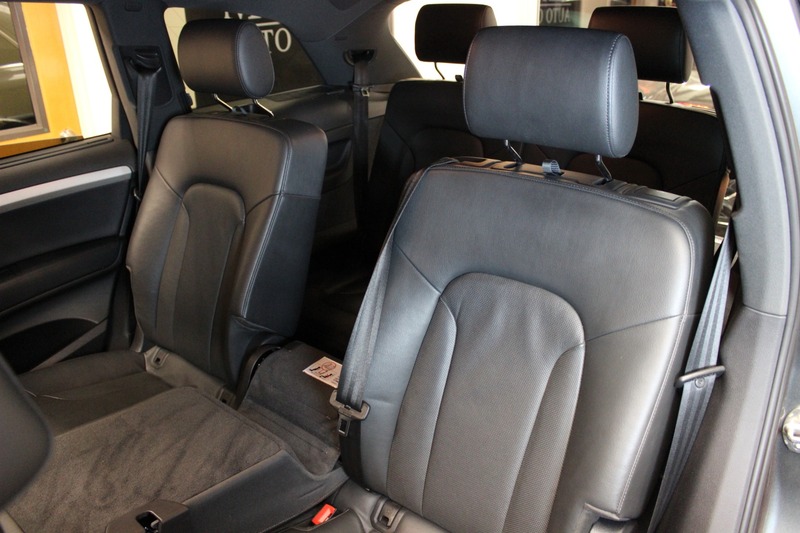 The TDI Prestige adds 20-inch wheels (optional on Premium Plus), adaptive headlights, keyless ignition/entry, a blind-spot warning system, power tilt-and-telescoping steering wheel, ventilated front seats and the Warm Weather package. 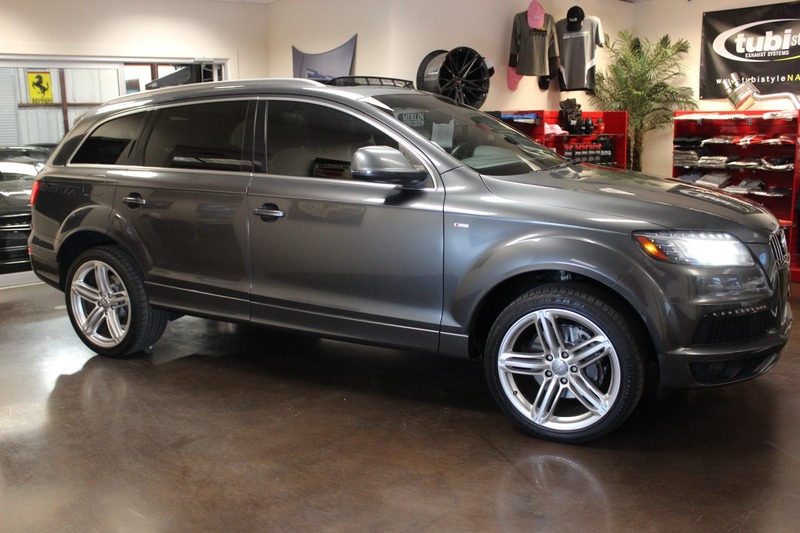 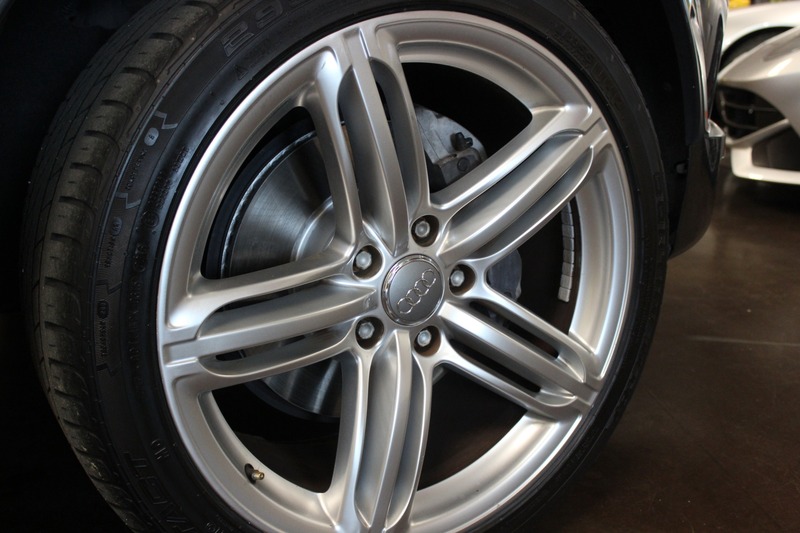 , headlights washers and special S line exterior trim and styling flourishes. 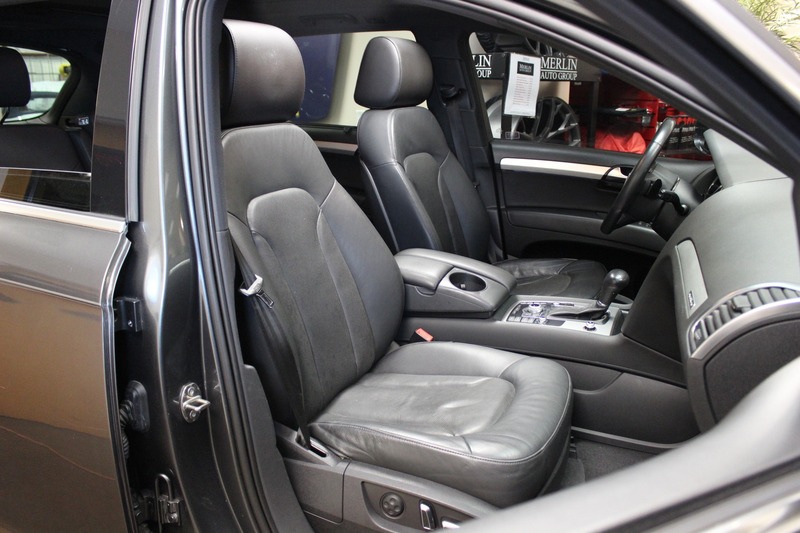 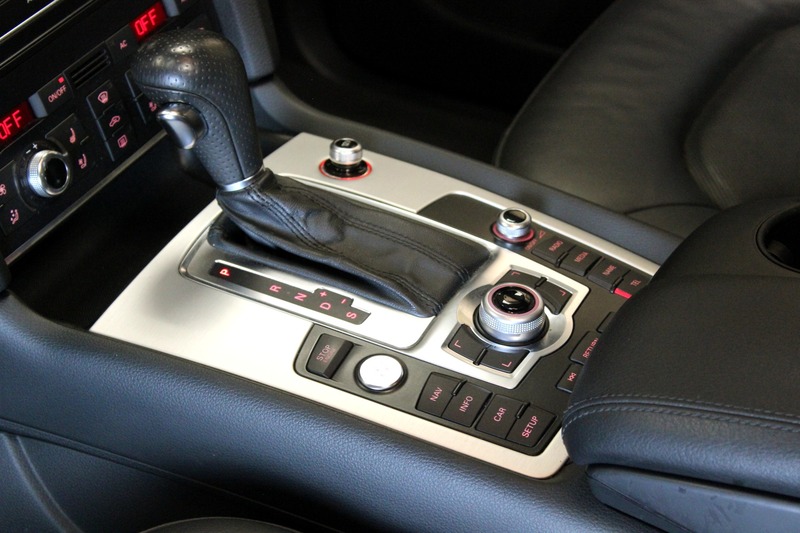 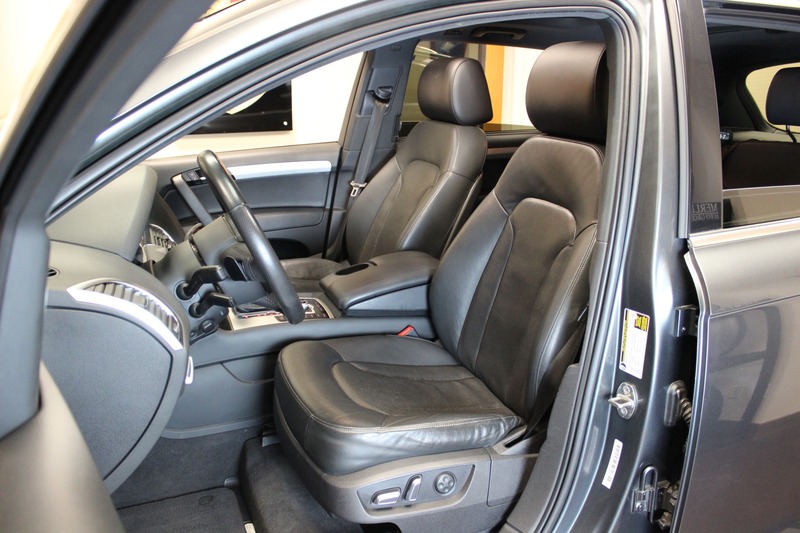 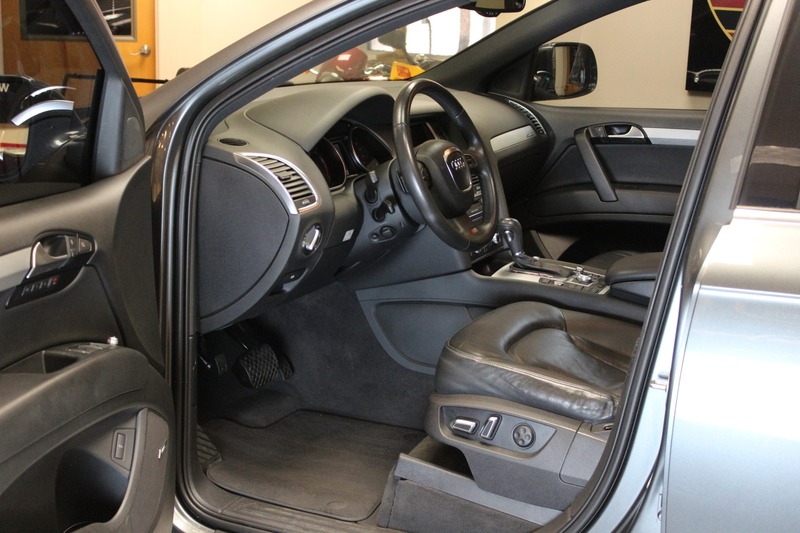 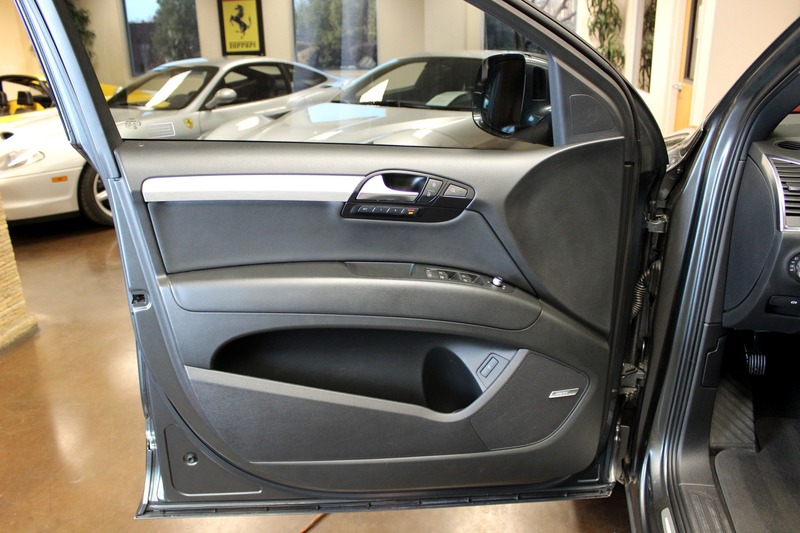 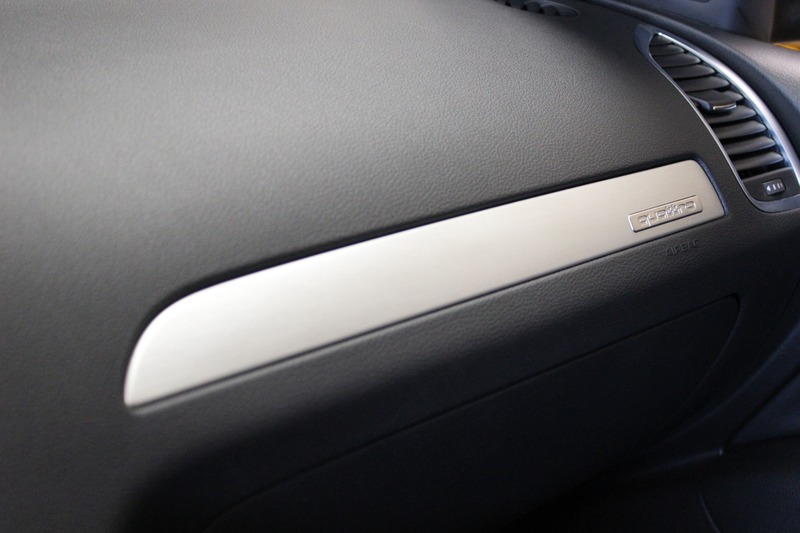 S line package that adds special interior trim. 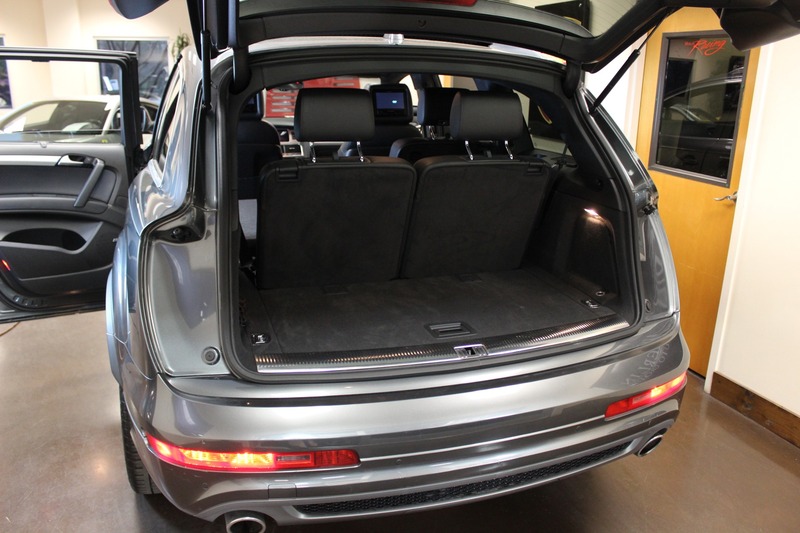 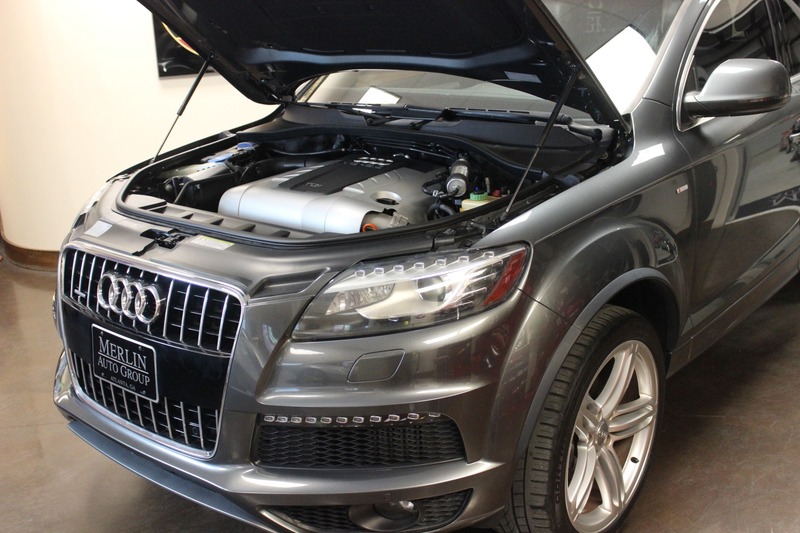 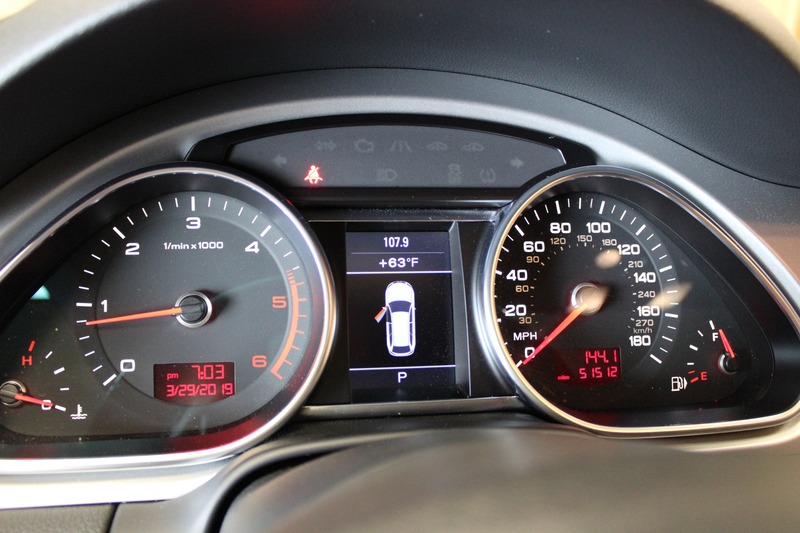 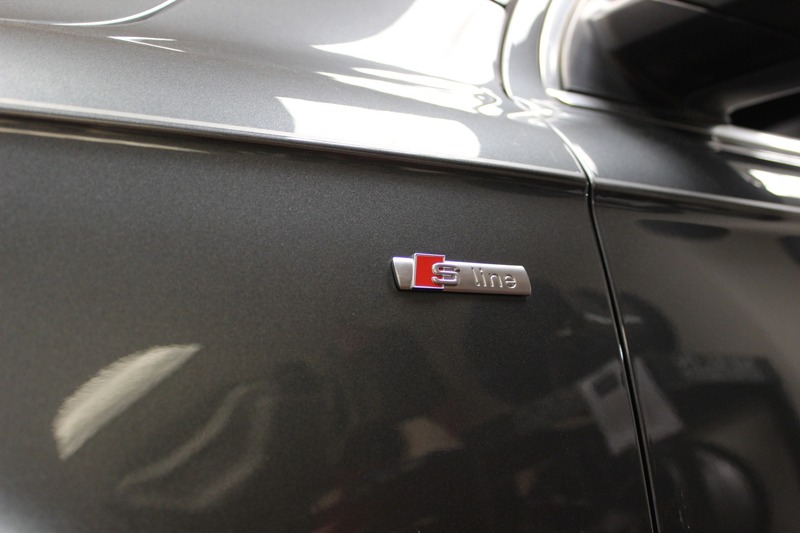 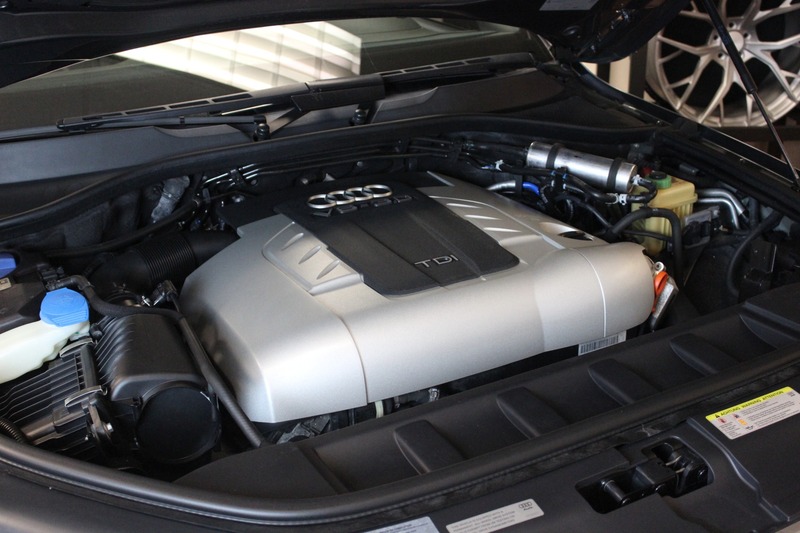 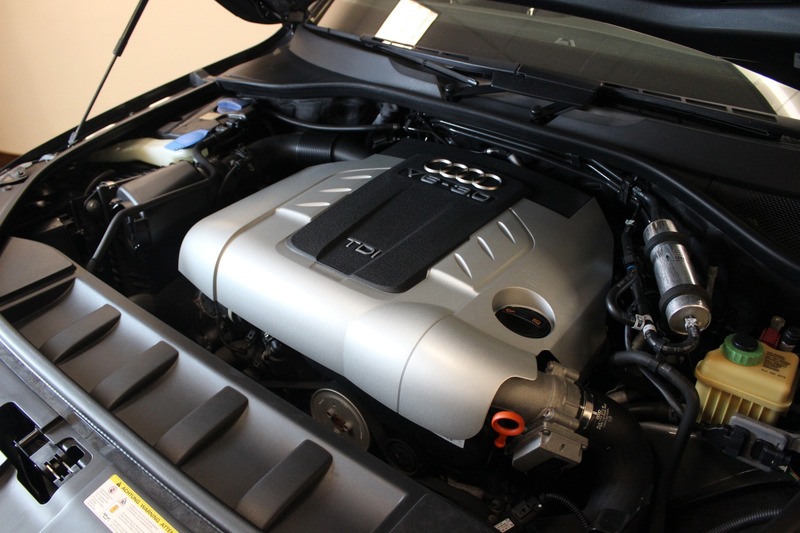 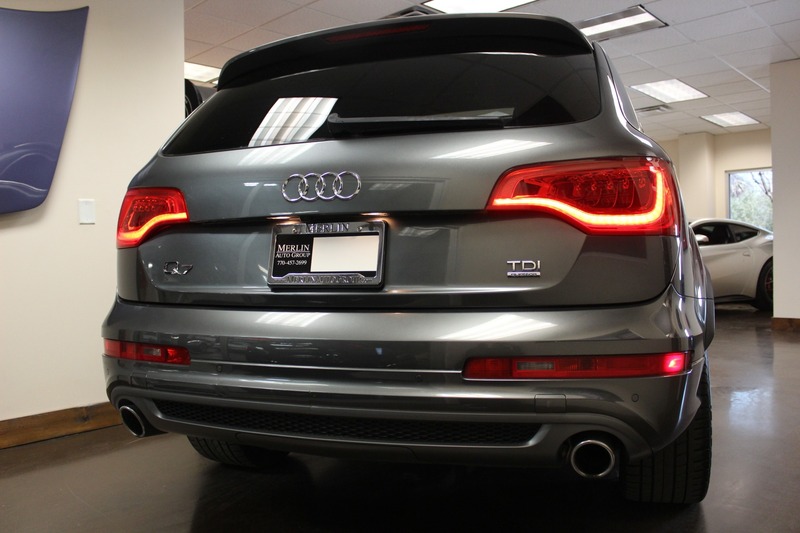 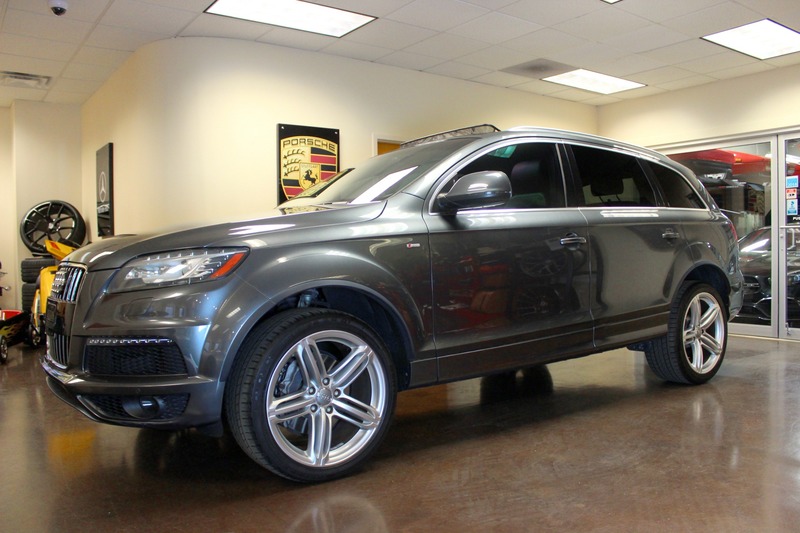 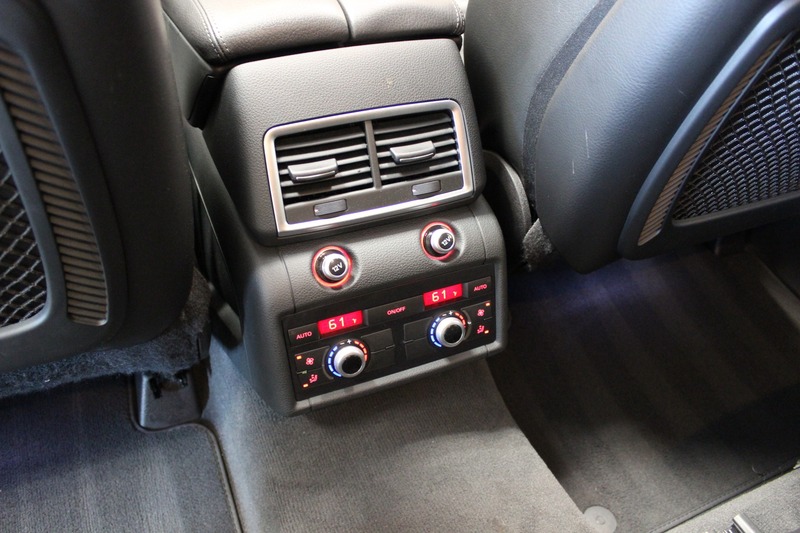 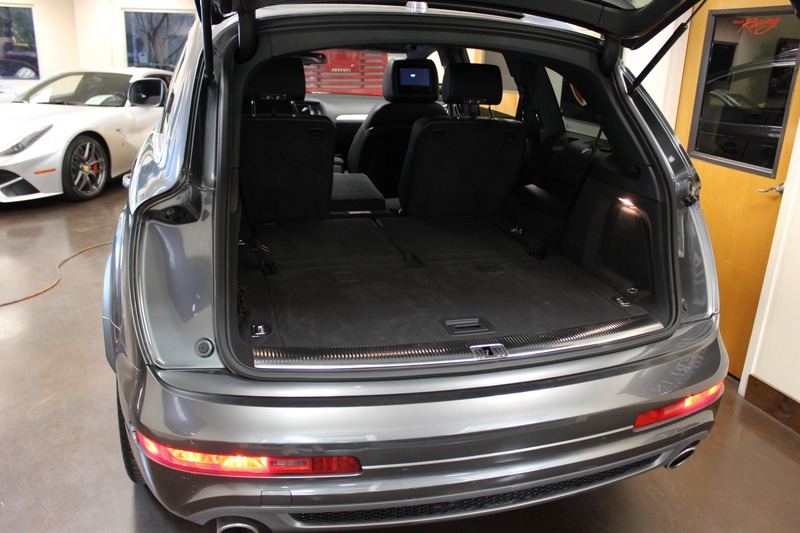 This TDI Q7 has received the emissions modification as of February 11, 2019 and is backed by Audi's extended emissions warranty coverage (4 years or 48,000 miles from date of modification). 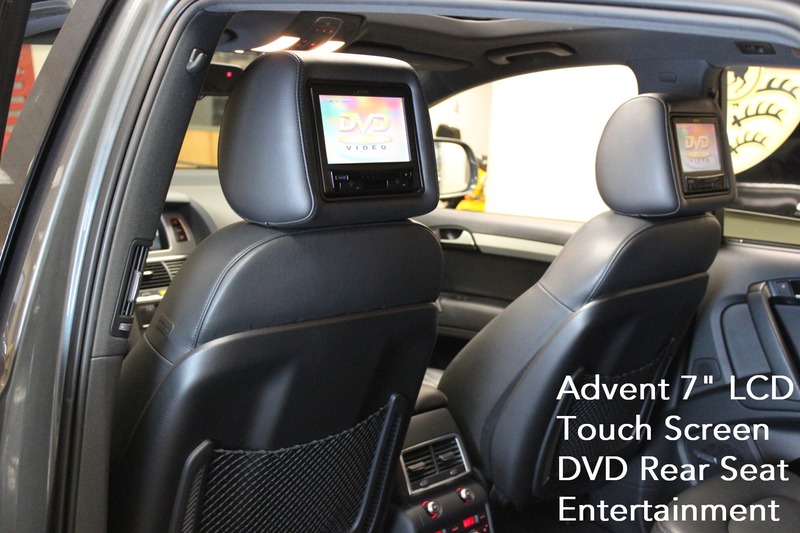 - Financing and extended warranties are available.